Suzuki lessons involve the pupil’s parent(s) right from the start. By attending the lessons, the parent(s) has a clear understanding of what the teacher is trying to help the pupil to achieve and, importantly, the ways in which the Suzuki Method does this – repetition, praise and consistency. The Suzuki Method is unique in being suited to very young children, but of course, 3 to 5 year olds, or even older children, need plenty of encouragement to overcome the technical difficulties of playing an instrument. Another extremely important role for the parent is in ensuring that the child listens to the repertoire very regularly, as it is by absorbing and internalising the music that they learn the detail and subtleties that they are trying to reproduce. Whereas it certainly requires more commitment from parents than conventional lessons, the Suzuki Method has its rewards in the resulting competence and musicality of the students. Having Suzuki lessons at school is a compromise on the ideal of having the parent(s) present at every lesson. However, many of the other aspects of the Suzuki Method are just as valuable in the school setting; but parents will be wise to take account of the compromise and to do their best to provide the needed support for practice, routine and listening at home. 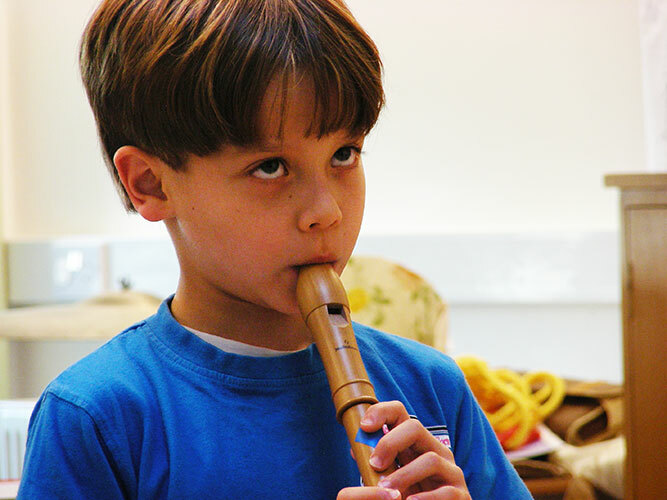 Children are often unmotivated when it comes to tackling a challenging task such as practising an instrument. It takes time and perseverance, although of course it can also be very rewarding. Parents sometimes have a tendency to treat music differently to, say, writing. If you gave a child the the option as to whether to practise their reading or writing every day, it would be the unusual child who was motivated to stick at it. Everyone clearly understands that it is important for a child’s development that they learn to read and write, and so they are supported within a structured framework of regular practice that is not optional. But often parents who perceive a similar lack of motivation towards music practice misinterpret this as an indication that music is not for them. There are a multitude of ways in which music can benefit a child’s development which make it worthy of perseverance. It can, for example, generate self-confidence and self-esteem, improve performance in other academic subjects, increase social skills and the ability to collaborate, develop motor skills and dexterity and promote a child’s inner life and sensitivity. All Suzuki pupils perform regularly in group lessons and at concerts for parents. In this way, performing becomes a very normal part of learning music, and children get quite used to sharing the results of their hard work for the enjoyment of others. 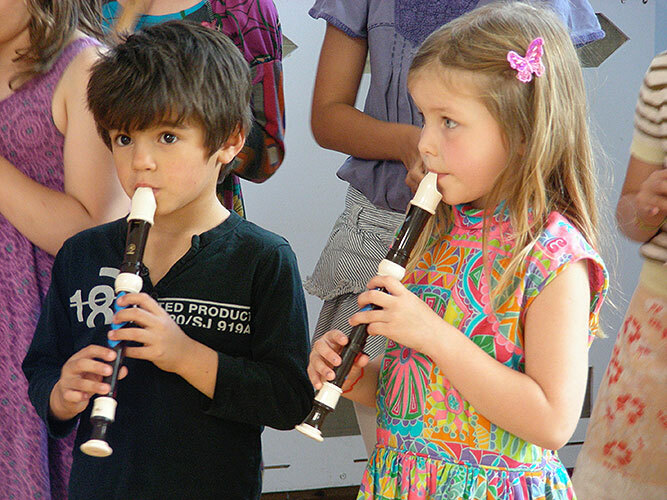 There are occasionally opportunities for children of many nationalities to come together to perform, and the standardised Suzuki recorder repertoire makes this possible even when there is a complete language barrier between performers – music is the language they share.